From the New York Times best-selling author of The Color of Water comes a powerful page-turner about a runaway slave and a determined slave catcher. The stories in Five-Carat Soul - none of them ever published before - spring from the place where identity, humanity, and history converge. They're funny and poignant, insightful and unpredictable, imaginative and authentic - all told with McBride's unrivaled storytelling skill and meticulous eye for character and detail. McBride explores the ways we learn from the world and the people around us. 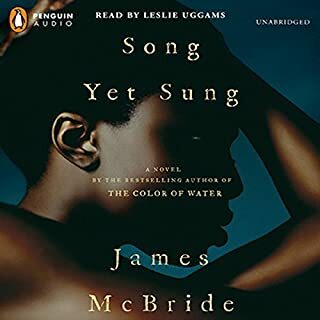 From the best-selling author of The Color of Water and Song Yet Sung comes the story of a young boy born a slave who joins John Brown’s antislavery crusade - and who must pass as a girl to survive. Henry Shackleford is a young slave living in the Kansas Territory in 1857, when the region is a battleground between anti- and pro-slavery forces. When John Brown, the legendary abolitionist, arrives in the area, an argument between Brown and Henry’s master quickly turns violent. Henry is forced to leave town - with Brown, who believes he’s a girl. Over the ensuing months, Henry - whom Brown nicknames Little Onion - conceals his true identity as he struggles to stay alive. Eventually Little Onion finds himself with Brown at the historic raid on Harpers Ferry in 1859 - one of the great catalysts for the Civil War. McBride's depiction of John Brown is fascinating. His greatest trait is his blind faith. But his blind faith is also his undoing. Believing that he's getting messages directly from God deafens him to the advice of his companions. You know the story is going to end badly for him. So listening to it you're begging him to listen, just once, to the advice that will make his plan succeed. That's the backbone of the novel. John Brown is surrounded by people with weaker convictions than him, who end up following him, for all the right reasons, to their own doom. He's a really tragic hero, who fails at his plan, but ends up making a difference through martyrdom. If I were a history teacher, I'd use this book to make my students care about the boring stuff that led up to the Civil War. I'm not a fan of the Civil War, despite plenty of great movies and books on the subject. Let's face it. It's a national embarrassment. Too much Civil War is like having a loaded diaper shoved in your face. And yet, I found myself staying up late doing research about what set the stage for the Civil War because of this book: Louisiana Purchase, Manifest Destiny, Mexican-American War, Missouri Compromise, Kansas-Nebraska Act, Bleeding Kansas... the battle for balance between slave states and free states for their respective votes in Washington D.C. None of these are mentioned in the novel, but I found myself spending hours reading up on them. And following the timeline of the novel: homesteading and the politics of granting land to encourage westward immigration from the big cities where unemployment was causing it's own difficulties. After John Brown failed, the south mustered up militias to prevent slave rebellions, which in turn gave them a military advantage that the north took years to catch up to. There are a great many interesting social dynamics alluded to by this telling of the botched raid on Harper's Ferry. Suddenly I care about a part of US history that never held my interest. 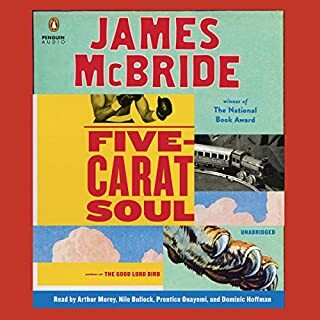 James McBride finds sympathy and flaws in all these different characters at odds with one another. Everyone has warts, but you come to understand their humanity. You start to understand the way people thought at a different time and yearn for them to see the light. It's really engaging. And the gem of it all is the trick of telling it through the eyes of a 12-year-old boy who is just trying to save his own skin. This character's commentary on the more important historical stuff clashing with his self-preservation is hilarious. This is a quaint historical novel about the abolitionist John Brown, who's deeds and follies set the stage for the American Civil War. At first, I had a hard time listening to the chortling of "The Onion" a 10 to 12 year-old boy who was put into a dress and apparently lived as a woman for 17 years. After a couple of hours, I got into the voice...and the book is quite hysterical in some areas. I had to look it up to see if John Roberts was a real person or not, just because his escapades seemed so unrealistic. But, John Roberts did live, although I doubt the boy/girl nicknamed "The Onion" is a real person. But Onion is the perfect vehicle for telling this story. He is a child whom everyone treats as a girl, and for that reason, he could get into places and do things that a boy could not have been able to. I enjoyed this book because it was funny and the voice actor was really quite good...after I got used to the sound of his voice. Audible makes a mistake when reading the introduction, because you think it is going to sound like that the whole way though. They have done that with other books that I did not appreciate. Through the eyes of The Onion (so nicknamed because John Roberts hands the kid this rotten/petrified onion he kept as a good luck charm, but The Onion doesn't understand why he has been given this hideous rotten piece of crap masquerading as an onion, so he eats it. Then John Roberts always protects him, proclaiming that "She's my lucky charm" (I guess because s/he ate the onion instead of putting it in his/her pocket). There are lots of funny scenes where the kid's true identity is almost unmasked, but while reading the bible on evening on a porch in Virginia, the boy realizes that a body, male or female, black or white is simply a shell and who one is inside and the outer shell doesn't make a bit of difference. I was touched by that, and it is true, IMO. I don't like to reveal much of a book's plot points or the way it ends....but I found it very enjoyable and would recommend it to anyone who likes a farcical historical novel. I read about it on the NPR's website and went straight to Audible and bought it and I'm glad I did. It is witty, not too gory and I quite enjoyed it. 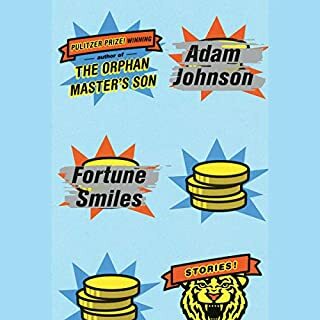 It's a bit like Tom Robbins meets Edward P. Jones to write about a part of American Slavery and one man's feverish desire (driven by the Lord!) to bring an end to slavery. Oh...and we get to meet Frederick Douglas and Harriet Tubman in a way that we have never met them before. All and all, a very enjoyable read. I can see it as a movie...maybe directed by the Cohen Brothers....who would be perfect for the tone of the book. Witty, well written and informative. 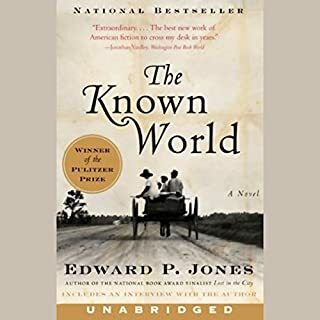 An historical novel featuring John Brown the famous abolitionist who met his end at Haper's Ferry Virginia and a boy slave whom he called "little Onion." Onion tells it how he sees it, in the venacular of the time, (or rather how she sees it as he travels with Brown and his men in "bloody Kansas" as a girl). Michael Boatman's narration enhanced the story by infusing the characters with distinct personalities and with nailing the comic timing of Onion's ascerbic and hillarious narration. I'm an Audible fan generally, but found Michael Boatman's reading of this to be especially compelling. A fun story about a young slave who witnesses the zany John Brown in his exploits and misadventures. "'Whatever you is, Onion,' [Brown] said, 'be it full.'" As the 2013 National Book Award-winning novel begins, the memoirs of Henry Shackleford are found in a Delaware church. Henry was a 12-year-old slave in Kansas when he was taken by the abolitionist firebrand John Brown in 1857 under an odd combination of circumstances. Brown assumed he was a girl, mistaking the potato sack he was wearing at the time to be a dress. Shortly after Henry earned the nickname "Little Onion" after unwittingly eating part of a rancid onion. He stays with Brown's group for a while then spends a couple of years at a Missouri whorehouse, doing odd jobs and continuing to pretend he was a young girl. Once reunited, he travels with Brown on a tour to raise funds and support for the coming "armed insurrection" of slaves in Harpers Ferry, West Virginia, including a meeting in Rochester, New York with Frederick Douglass (who the author imagines is not only a polygamist civil rights leader and icon but also a sexually perverted buffoon who tries to seduce the 14-year-old Little Onion) and a memorable encounter with a serious, strong and understandably cautious Harriet Tubman across the border in Canada. Then came a remarkably imagined few days prior to the raid when the wily and obsessive Brown makes quixotic plans to take the Harpers Ferry armory to arm the area slaves, and tasks Little Onion with "hiving the bees"; followed by a reimagining of the failed raid on Harpers Ferry that became a primary spark to the beginning of the American Civil War. I was drawn in by the young protagonist, who is somewhat reminiscent of Huckleberry Finn in his journey along the Mississippi River, his connection with the animated and pious Brown, his development as seen through his first person narration which is at first innocent and then cynical, and often amused by the hysterical happenings, some classically hilarious dialogue and evocations of haunting imagery. Although the character of "Onion" in this story of John Brown and his anti-slavery campaign is fictional, he is engaging, and his situation adds a lot of humor that helps keep the story compelling. My husband and I listened to it on a cross-country drive and both couldn't wait to get back to it when the drive was interrupted. I learned a lot about John Brown--his commitment, his sometimes foolish decisions, the complexities of the slavery question (at the time) in the western territories, his connections to Abolitionists including Frederick Douglas and Harriet Tubman. Michael Boatman is a versatile reader who gives voice to a variety of characters and helps keep them distinct. Would you consider the audio edition of The Good Lord Bird to be better than the print version? I wouldn't know, but I liked the narrator for the audio edition. Onion is the best character. Next best is Old John Brown. All in all I loved every character in the book. What does Michael Boatman bring to the story that you wouldn’t experience if you just read the book? Excitement of the journey. He opens up the comedy of the story. I was actually depressed when I started reading it, and I found myself laughing out loud at the stuff Onion and the Old Man got themselves into. Who was the most memorable character of The Good Lord Bird and why? John Brown, then Onion the unwilling transgender character. Good story and funny, funny and funny! 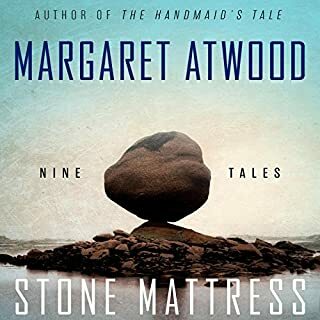 Where does The Good Lord Bird rank among all the audiobooks you’ve listened to so far? Top rung. I always enjoy Michael Boatman's performances. His voice is both entertaining and really captures the time, locales, dialects. I really liked his John Brown voice. I selected this book because I had heard about it since it won the National Book Award. Michael Boatman was a pleasant surprise. What was one of the most memorable moments of The Good Lord Bird? 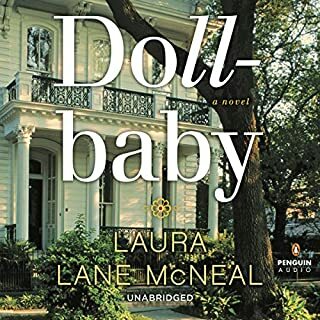 So many lines, like "no more than a hog know'd a holiday" reminded me of characters I have known, expressions that are both dated and down home, depending on where home is. His voice of the John Brown character was over the top, which is apropos for a character as extreme and passionate in his religious fervor as the "Old Man" Brown. The Onion. He's a slave child who says he lived a comfortable life until an encounter with John Brown got his father killed and him captured by Brown who was hell bent on freeing the slaves. On the road with Brown, he meets Frederick Douglass, Harriet Tubman, and Jeb Stuart before surviving the raid at Harpers Ferry. The Onion is too flawed to be a hero and too savvy to be a victim. He's an undeserving coward who disrespects people and God, but whose brave spiritual awakening is the only point of the whole adventure. And yes, he dressed like a girl for several years just to save his "arse", and he had everyone mostly fooled. Surely the details of the protagonist's experiences seem over the top and too fictionalized for a historical novel. Instead, regard this as an entertaining yarn with a historical foundation rather than an historical novel with a haughty air of authenticity. If you want your history uncut, go with Doris Kearns Goodwin. If you want to have fun with the brutal John Brown Raid, the unspeakable degradation of American slavery and the run-up to the bloody US Civil War, "The Good Lord Bird" is a good choice. Thanks, James McBride and Michael Boatman! A brilliant imagining of a major historical figure. The writing, and inventiveness, and the story telling are nearly beyond compare. 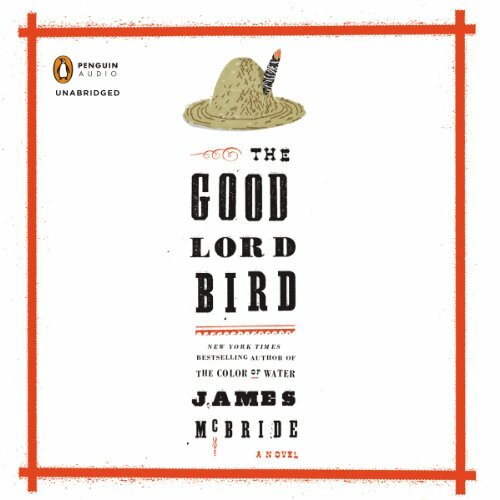 I was eager to read James McBride’s novel The Good Lord Bird. John Brown spent a portion of his life where I grew up and am very familiar with him. Frankly, I am not sure if I enjoyed the book or not. I did struggle to finish this book. The main force to complete this had more to do with commitment and less to do with anticipation in the ending and enjoyment of the text. Yeah, parts of it are humorous but much of it is “bathroom” humor and “dirty old man” humor. I certainly didn’t find it witty or clever. First, if enjoying this through Audible, Michael Boatman’s narration is odd to say the least. Overacted would best describe his reading. I found it hard to listen to and uncomfortable. It’s like when at a community theatrical production where there is that one guy that camps all his lines and monkey shines for the audience, putting everyone ill at ease. I felt that ill at ease feeling for the first third of the book till Boatman seemed to finally tired of doing it. Told in first person, Henry, the protagonist, is a slave boy that possesses feminine qualities that allow him the luxury of assuming the alias of a female, Henrietta, when abolitionist John Brown mistakes his gender while in Kansas. John Brown considers him/her as a good luck charm and their lives intertwine through the next 17 years. Though this is fictional history I felt that large portions were fiction than was really necessary.